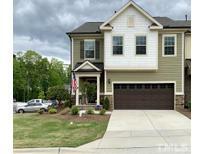 Below you can view all the homes for sale in the Bella Casa subdivision located in Apex North Carolina. Listings in Bella Casa are updated daily from data we receive from the Raleigh multiple listing service. To learn more about any of these homes or to receive custom notifications when a new property is listed for sale in Bella Casa, give us a call at 919-759-5775. Walk to 1 of the 3 community pools. MUST SEE! MLS#2249925. 1685. Relax on the roomy patio w/a cozy fireplace! MLS#2248289. 1618. S/I porch w/audio & stone fire pit + yard. Tankless W/H & pre-wired security. MLS#2247765. 297. Enjoy quiet evenings on your private SCREENED PORCH.Amenities incl 3 Pools, 2Clubhouse,Tennis Courts, Playground. MLS#2246520. 4632. Open floor plan; finished 3rd floor; surround sound in great room; screened in porch w/ceiling fan; tile shower - deep garden tub in master bath; full bath first floor; lots of natural light; mudroom; extended loft. Walking distance to Friendship Schools. MLS#2246732. 4542. Laundry w/custom shelves. 3-season porch/deck/Outdoor Pergola/stone fireplace! MLS#2246670. 4623. Bella Casa has 3 neighborhood pools, tennis court, playground and within walking distance to Apex Nature Park. HURRY! MLS#2246463. 238. 2 bedrooms up w/ jack/jill bath. Screened porch, fenced yard. MLS#2245944. 4767. Sound insulation around all baths, laundry, powder Room. Still time to customize! MLS#2246241. 4508. Super NEW 3rd floor bonus! INCREDIBLE amenities MLS#2245869. 986. A walk up 3rd floor unfinished /w a rough-in for a bathroom (Sealed Crawl Space) MLS#2245391. 4863. Close to American Tobacco Trail, Apex Friendship schools. MLS#2244862. 734. Truly low maintenance living at its finest! MLS#2244622. 4767. Outside screened deck w/ roll-up shades, wood deck & tiled patio, level lot & premium shade trees. Over-sized 2car garage+utility sink MLS#2244662. 3770. Enjoy Private Screen porch.Flat backyard w/0.29 acres MLS#2243836. 989. Granite center Tops, Stainless Appliances, Walk in Pantry and Butlers Pantry. Plantation Shutters. MLS#2242477. 3909. First floor guest suite with walk-in shower(owner change) plus much more! MLS#2242794. 1618. Conveniently located across from 1 of the community's 3 pools! MLS#2239140. 4570. Large master suite with Walk in Closet, & large master bath w/ ceramic tile flooring. Loft with two builtin desks. MLS#2238417. 4542. Basement features bedroom, full bath, huge bonus/play area, theater/music room. 3 n'hood pools. Top schools! ! MLS#2237738. 4767. Covered back porch, programmable outdoor landscape lighting, community pool/club, close to Apex athletic, nature & dog parks, I-540 MLS#2238021. 3270. Enjoy Amenity Rich Bella Casa while being Conveniently Located to Highways, Shopping & Entertainment. MLS#2237022. 5019.